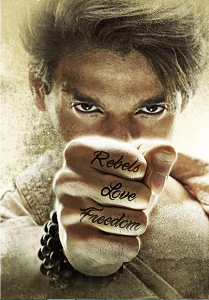 Review Summary: Hero rides on the shoulders of Sooraj Pancholi. A half-watchable romance drama! For its 132 minutes' crisp runtime, Hero offers bucketful of entertainment and victoriously conveys that commercial movies needn't be puerile to show people a good time. The end of Sooraj Pancholi, Athiya Shetty film brings relief, with Sallu Bhai working the end credits, exuding more star power in two minutes than we’ve seen in two hours. This 'Hero' is a zero. While there's nothing new on offer in terms of story, the fresh new faces and a brisk runtime of 131 minutes make Hero a breezy entertainer. As for the latest version of ‘Hero’, the movie ends up like watching the fast forward version of the original, where you know what’s happening in this soulless film, but fail to miss out over the required detailing and entertainment quotient. Hero is a vacuous and self-indulgent exercise, akin to taking star kids on a field trip in order to show them the ropes. Do it, by all means, but why must you subject an audience to it? It conveys all the charm of the original! Yet it can prove out to be a worthy film to catch for the youngsters who hardly know anything about the cult classic of 1983. On the whole Hero is a decent entertainer having chartbuster music and stunning action sequences. Nikhil Advani is no Subhash Ghai when it comes to handling potboilers. Hero is a botched up film in effort to provide two reasonably good star kids a launch pad. Director Nikhil Advani could have taken a bit extra care for Hero movie. His directional skills this time needs to be questioned. But, they are not bad. In fact, how often can we say this about Bollywood kids — that they are better than their fathers. Suraj is better than Aditya Pancholi and Athiya is a far, far superior actor to her duh! daddy. That’s a first. 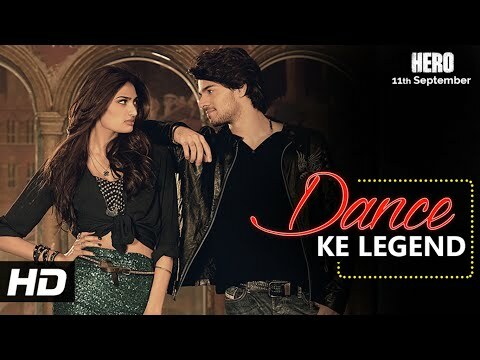 After a carefully planned media campaign, Sooraj Pancholi (Sooraj Kaushik) and Athiya Shetty (Radha Mathur) are finally here, in a story that's still stuck in the '90s. Bad writing, poor direction and average performances make Hero forgettable. Hope Nikhil Advani redeems himself next weekend with Katti Batti!! Sooraj Pancholi and Athiya Shetty starrer is a typical Bollywood romantic movie! One is better off, sipping the original one with the unforgettable Lata Mangeshakar’s, “Pyaar karne waale kabhi darte nahin”. Overall, this Hero is below mediocre fare except for the lead pair's straightforward performances. Why are they so considerate when they keep shouting 'jaldi karo'? But, these things are insignificant in front of a surreal scene when Sooraj Pancholi does a Mithun Chakraborty. You'll have to watch it to believe it. The best thing comes at the end. When you see Salman crooning Main Tera Hero. You wish some of that easy charm had rubbed off on the film. 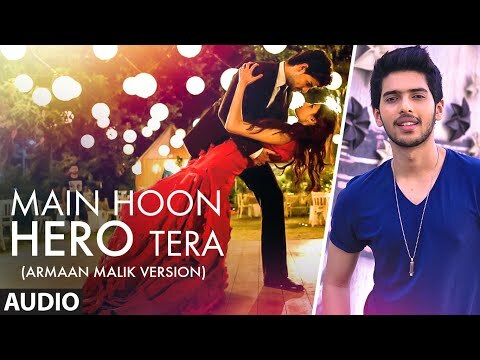 Hero is not a bad flick, it’s not an amazing movie like Nikhil Advani’s Kal Ho Na Ho or D-Day. It is an average movie which can be watched or can be avoided. Go Watch it or forget the idea. This ‘Hero’ failed to impress! On a whole, Hero is a very cliched and outdated remake of the original. Watch the film only if you are longing for some eye candy in the form of the lead pair. They are the only saving grace in this boring and routine romantic entertainer. The elements of the modernised love story of 1983 may not gel well, but ‘Hero’ is a decent romantic action movie that can be watched and enjoyed. And it's majorly Sooraj and Athiya's earnest efforts that will set the ball rolling for the film. Here's to Bollywood's two new discoveries! After the flop run of the recent ' Masters' all eyes were on Prithvi's latest 'Hero' which was supposed to celebrate the stardom and heroism of the young super star of Mollywood. 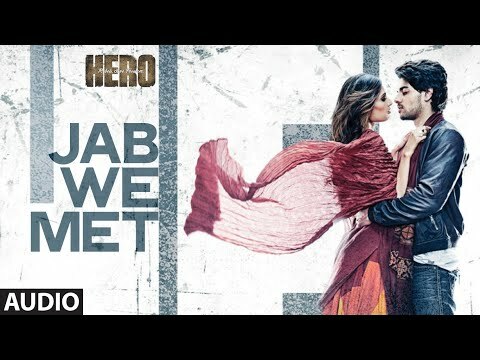 No doubts about that here , 'Hero' has plenty to rejoice and lap up for the devoted fans of the starA stunning well toned physique, handsome looks, loaded fights and punches that gets any villain land few metres away and of course, nicely choreographed songs. The only thing that the movie is deficient is a well nourished script that can lend our 'hero' an easy walk over. Now what we have got from Vinod Guruvayoor is not so bad one, with the big pitfall being the lack of a believable, powerful villain, to take on the extreme heroics of our protagonist. If Hero had Salman Khan, it wouldn't have been so bad. Because he knows how to totally own the screen, even when everything - from the screenplay to the direction - is missing. And no, not everyone can do it. I do feel bad for the two star kids, who were evidently trying to give their best but in vain. Nikhil Advani’s remake of Subhash Ghai’s mediocre 1983 hit is an ardour-less romance with unconvincing leads and a convoluted plot. HERO fails the litmus test of rehashing a classic for the Generation Next. It appeals in very small measures and is not an ideal weekend entertainer. Ding dong baby sing a song. Aaj ki sham ka pyaar ke naam ka la la la la la laa.. a phone bell rings..Subhash Ghai picks up the phone.. an intense voice in his trademark poker tone on the other side says, Swagat nahi karoge naye 'Hero' ka aap".."
To sum up, irrespective of the content, Hero rides on the shoulder of Sooraj Pancholi who is sure to be greeted with a lot of Seeti’s and Taali’s, while people might give a few ‘Gaali’s’ for the story. Overall, this Hero" is a below mediocre fare except for the lead pair's straight-forward performances."